InventHelp®, America's leading inventor service company, announces that one of its clients, an inventor from Delaware, has designed a concrete float especially for footings. This invention is patented. 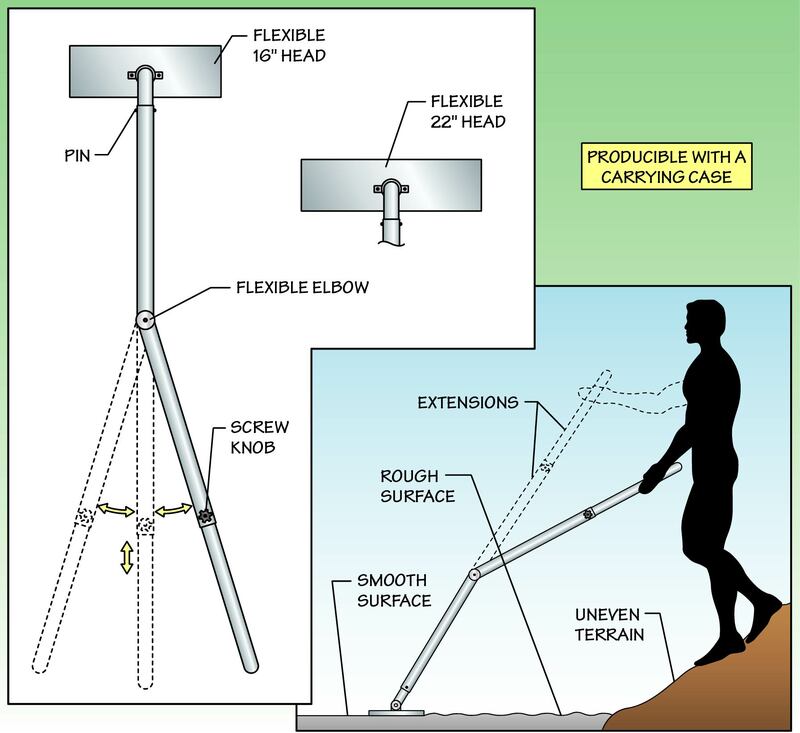 The "Footing Float" design would provide an extended reach for easier access on projects. The tool could adapt and adjust to different-sized footers and various angles. The unique feature of the Footing Float enables the tool to be higher than the footer. According to the inventor, this feature allows for easier smoothing and leveling. The Footing Float would consist of a basic footing float with a rectangular head made from aluminum or stainless steel. The entire unit from handle to head would measure 8- to 12-feet long. The device would measure 6-inches wide and would be producible in 10-, 16- and 22-inch widths. The 16-inch head would be designed for use with an 8-inch footer, while the 22 inch model would be used with a 2 foot footer. The tool would feature a pivoting, knob-shaped mount for a specially configured handle. The arm of the handle would be 4 feet long, and the outer end would be equipped with an adjustable pivot. Telescopically mounted to the end of this component would be another 4 foot piece. The position could be secured via a 2 inch knob-type set screw. The heads would be attached to the end of this component via a 2-1/4 inch slip pin. All components could be stored in a hinged-lid carrying case, which would be provided with the device. InventHelp® is attempting to submit the invention to companies for review. If substantial interest is expressed, the company will attempt to negotiate for a sale or royalties for the inventor. For more information, telephone Dept. 04-BLT-2011 at (800) 851-6030. Learn more about InventHelp® and their Invention Submission services at http://www.inventhelp.com.